Mariesol Wallace, PT, joined the University of St. Augustine for Health Sciences in December 2017 as an academic coordinator of clinical education. Prior to joining the university, she was the program director for a physical therapy assistant program and a practicing clinician in the home care setting. enhance the educational experience of her students. Her experience in administration, fiscal management, and human resource management in skilled nursing facilities and outpatient clinics has allowed her to understand both the clinical, financial, and management aspects of a physical therapy department. She stays current with contemporary practices and innovations within the physical therapy community with continuous participation in continuing education courses that address the changes in practice, including fiscal changes and modifications in delivery. Through her clinical education instructor experience she has been responsible for evaluating student learning objectives and assessing outcomes. To serve the profession, she has become an item writer for the NPTE. She has participated in several item writer workshops and the faculty workshop hosted by FSBPT. 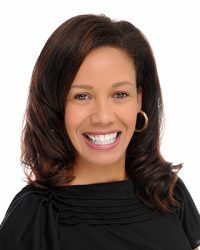 She is also a member of the American Physical Therapy Association and the Florida Physical Therapy Association. She also enjoys a volunteer position as a clinical director with the Special Olympics FunFitness program.